MASVINGO - Darlington Sagia (21) a second year student at Masvingo Polytechnic has been slapped with a seven-year jail sentence after he robbed a taxi driver of his car and tried to sell it to raise money to spoil his girlfriend. Sagia together with an accomplice Justice Majatame robbed Passmore Manyere (29) of his Toyota Fun Cargo on March 10 2019 and drove it from Masvingo to Chiredzi where they tried to sell it after changing its number plates. Pleading for mercy before Provincial Magistrate Dambudzo Malunga, Sagia said he stole the car to raise money to spoil his girlfriend (also a student) who pestered him for money for their upkeep and to pay rentals since they were cohabitating in Runyararo West in Masvingo. Magistrate Malunga suspended two of the five years on condition of good behaviour. 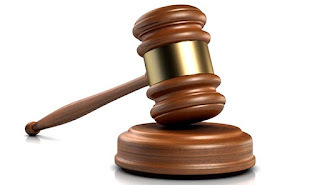 It is the State case that on March 10, 2019 Sagia and his friend Majatame who is still at large threatened to assault and stab Manyere with an Okapi knife before taking his Fun Cargo registration AAY 4395, cash amounting to $65.00, Nokia 1208 and Nokia Lumia cell phones . At around 8pm, Manyere was driving from Glow Petroleum to Majange when he was stopped and hired by the two accused to drive them to Stop Over Business Centre on the outskirts of Masvingo. On arrival at Stop Over Sagia and Majatame requested to be taken a little bit further along Bondolf road. After about 100m the two made threats to assault Manyere if he did not comply with their orders. They demanded his car keys which he surrendered and they then dragged him into a nearby bush where they tied his hands and legs with shoe laces. After taking the car, they drove it to Chilonga in Chiredzi on March 18 2019 with plans to sell it. They removed the car’s registration number plates and replaced them with those of a Mitsubishi Colt AAR7636. At around 12pm Police detectives were tipped off about the pending sale and that lead to the arrest of Sagia. Liberty Hove represented the State.